Portugal cannot be understood in a single moment or place. The Ultimate Portugal tour is a 12-day private tour that covers authentic destinations and experiences to discover Portugal in-depth. This route is full of surprises and will take you through Lisbon, Évora, Óbidos, Coimbra, Douro Valley, Porto and many other gems. An incredible tour of Portugal designed just for you! Your tour guide will pick you up at the airport and take you on a Half-Day introductory tour, starting with one of the most beautiful view points in the city. 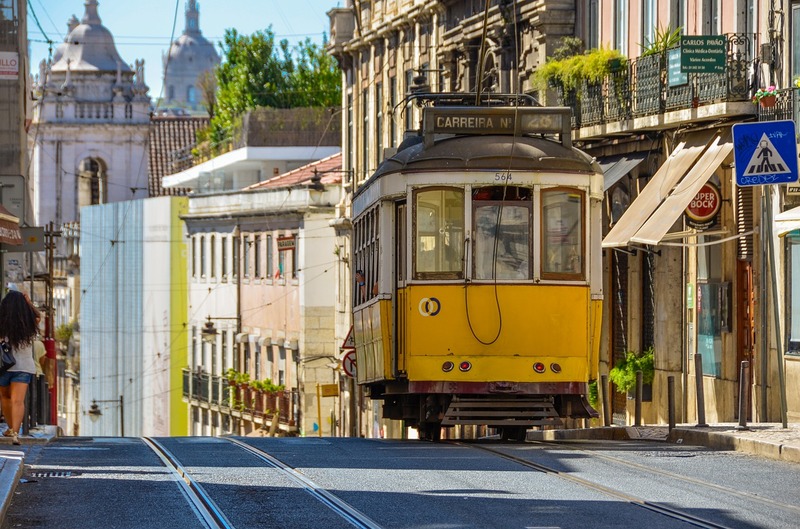 Along the day you’ll pass by some of the oldest neighborhoods of Lisbon and visit its best spots. Praça do Comércio is one of the largest squares in Europe and for many centuries the main entrance of the city of Lisbon. Currently the square is used for cultural events, New year’s Eve and music concerts. Visit the charming village of Sintra, located in a Natural Park with castles and grand mansions used as summer houses by the Portuguese royalty. It’s a UNESCO World Heritage site and owing to its beauty is one of the most visited sites in Portugal. 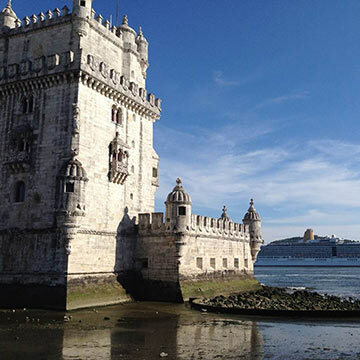 Your afternoon will be spent visiting the emblematic district of Belém. 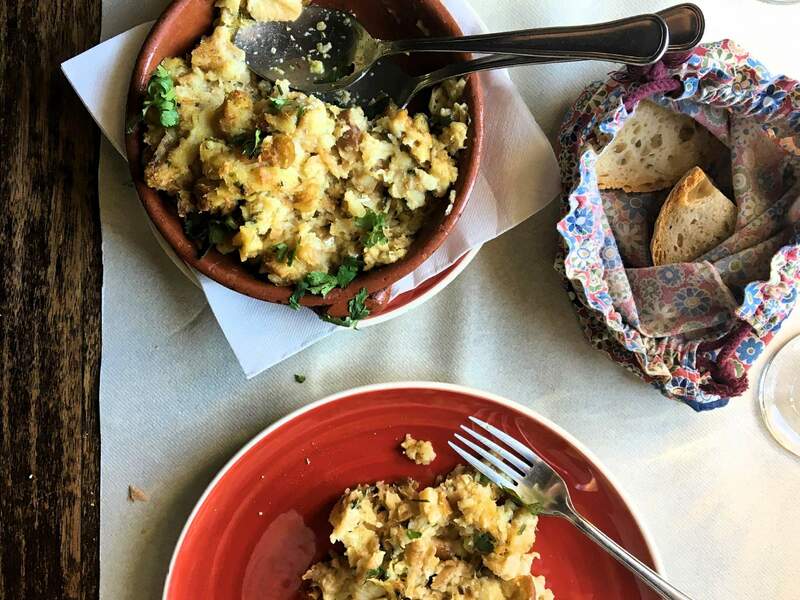 While walking around the historic centre, you’ll find yourself surrounded by old houses that have been converted into small shops and bakeries, selling local products and handicrafts. An astonishing fairytale 19th century palace constructed by King consort Ferdinand II of Portugal. He turned a 16th Century monastery ruins, located on one of the highest peaks of Sintra’s mountain range, into one of the most eclectic palaces in Europe by blending different types of Gothic, Egyptian, Moorish and Renaissance elements to it. Around the palace he created a park where he planted different exotic species of trees from all over the world. Located on a large cliff with more than 140 meters height and an amazing view to the Atlantic Ocean, is considered the most western point of continental Europe. Guincho beach is one of the most beautiful beaches around Lisbon. It is regarded as one of the greatest beaches for windsurfing and surfing due to its powerful waves and wind. This stunning beach is known for its appearance in the opening scene of James Bond film ‘On her majesty’s Secret Service’ of 1969. Cascais is a beautiful coastal resort town that has been able to maintain its traditions over the years. Its popularity began in the late 19th century when King Luís I made the citadel his summer residence and later due to the fact that Portugal was neutral during World War 2 given Cascais beautiful seaside appeal, was home to many Royal families and aristocrats in Europe. This Western Portugal day tour will offer you an unforgettable experience. Discover the typical crafts, the rich gastronomy, the traditions, the aromas and flavours in an unique atmosphere that characterizes this region. Nazaré is seaside resort with its own charm. It’s Portugal’s most famous fishing village because of the “big wave phenomenon” and it was where the American surfer Garrett McNamara set a new world record in 2011, surfing a 90ft wave. Portugal’s religious capital that attracts millions of pilgrims every year, due to its mystical power and atmosphere. It can hold about 300 thousand faithful at the same time and is twice the size of St. Peter’s Square in the Vatican City. Discover two of the most famous UNESCO World Heritage Sites, in Portugal: Tomar and Coimbra. One of the historic centres of Portugal with the highest concentration of monuments. You’ll visit the churches of ‘São João Baptista’ and of ‘Santa Maria do Olival’ and the oldest Jewish synagogue in the country. 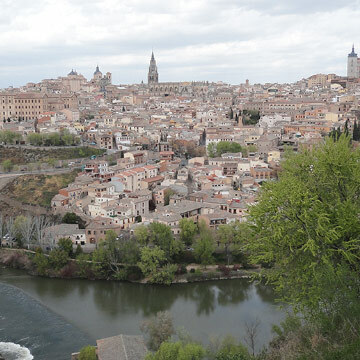 Known as the city of the students, offers centuries of culture and history. Here you can visit the oldest university of Europe and its world famous library and walk the downtown city centre. Considered the Venice of Portugal, here you will take a boat trip through the city’s canals before your arrival at Porto. During this Oporto city tour we will discover the history and charm of the city. Located in central Oporto was built in 1834 in a neo classical style constructed by the Commerce Association of Oporto. Discover Braga and Guimarães, both classified by UNESCO as World Heritage Sites. Along the day you’ll have the opportunity to see more of the region of Minho by visiting other iconic landmarks between the two cities. Lose yourself in the streets, the colors and history of the this city. Considered ‘The First of Portugal’, in which rests the very foundation of the Portuguese nationality. This 18th century Palace is located in the historical center of Guimarães and is classified as a National Monument. Oldest city in Portugal that played a key role in the development of the Roman occupation in the region. Considered a very religious its history blends with the Catholic identity. The country’s oldest (1st Mass dated 1089), today still has the strength of this tradition. True jewel of the Portuguese Baroque architecture. Explore one of the most beautiful region of Portugal: The Douro Valley, is classified as a World Heritage site by UNESCO. 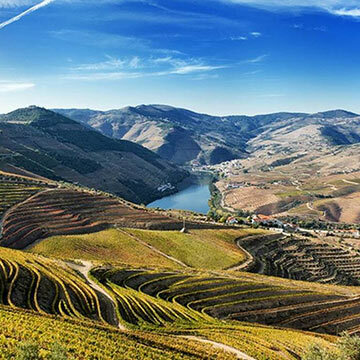 Here you will find several vineyards planted on the mountains slops and make a panoramic tour to see breathtaking landscapes, visit local wineries and taste the famous Douro wine. With a unique natural beauty the village is located about 700m above sea level, on the glacier valley of Serra da Estrela. Visit to the Burel Factory at Manteigas. Situated on the southwest slopes of Serra da Estrela is a place that invites to the practice of open-air activity: walking, bathing in fluvial beaches or other sports. Small village with houses made of a unique type of stone, very common of that region called shist. A village that has a mystical meaning in the international Sephardic history. A village with a big connection to the jewish history. Here you’ll have the opportunity to visit: the Castle, the Jewish Museum and the Hebrew tombstone, the BET ELIAHU Synagogue and the Jewish Quarter. Its considered the most Portuguese village of the country. Its origins date back to the Paleolithic, conquered from the Moors by D. Afonso Henriques in 1165, and later donated to the Knights Templar who built a castle, under the orders of of its Grand Master. This village is characteristic for its granite houses and nested shale in the middle of huge granite blocks. A 13th century castle full of historical events, traditions and many other surprises for you. Surrounded by natural beauty, this hidden gem is full of history and cultural interest. The Capital of Alto Alentejo (one of the Portuguese Regions) and classified by UNESCO as a World Heritage site since 1986. The Convent of St. Francis in Évora, was the first house of the Franciscan Order in Portugal and was founded in the 12th century. The Church of the convent was remodeled at the end of the 15th century, between the years of 1480 and 1510, being an example of Gothic-Manueline architecture. It is related to the events that marked the period of maritime expansion and is one of the most beautiful churches in Portugal. Built in the 17th century by the initiative of three Franciscan friars in order to convey the message of the transience and fragility of human life. At the entrance, the warning: “We bones here laid, for yours we wait”. The walls and the eight pillars of the church are covered with about 5,000 human skulls and countless bones from the city’s cemeteries. The Roman Temple of Évora was built in the early 1st century and is located in the historic city center, classified as a World Heritage Site by UNESCO, in 1986, is one of the most famous landmarks of the city and a symbol of the Roman presence in Portuguese territory. Better known as Sé de Évora, it’s the largest medieval cathedral in Portugal. Its construction began in 1186 and consecrated in 1204, was completed later on, in 1250. It is a fascinating monument in granite that marks the transition from the Romanesque style to the Gothic style. It can be extracted every 9 years and has several uses such as floor coverings, musical instruments, decoration and clothing. Considered the most important industry in Portugal, with an area of ​​730 thousand hectares of cork oak, it is responsible for more than 50% of the world cork production. It’s an Alentejo small village widely known for its handmade pottery. With about 35 pottery factories São Pedro do Corval is known as the Capital of Pottery (it’s the Portuguese largest pottery centre). Medieval village conquered by the Moors in the 12th century. It played, over the years, a very important role in monitoring the Guadiana River, after the border with Spain. The beauty and state of conservation of the village of Monsaraz are impressive, making it a museum village, unique in the region. From the top of the castle walls, built by D. Dinis in the 14th century and classified as National Monument, we can see the whole village with houses painted white and slate roofs and the Alqueva dam. For those you prefer the beach we have the option of spending 2 days in the Algarve area instead of 2 days in Serra da Estrela. Visit the best spots, enjoy a memorable boat ride in the Ponta da Piedade caves and at the end explore the Vicentina Coast, Sagres and Lagos returning to Lisbon. Discover the 12 most amazing sites of “outstanding universal value” in Portugal. Experience the culture and life style of the Portuguese people. Portugal is waiting for you!